The intense examination of life and the environment draws Flowers to respond to edges, in-between places, and to changes in state, both evanescent and physical. 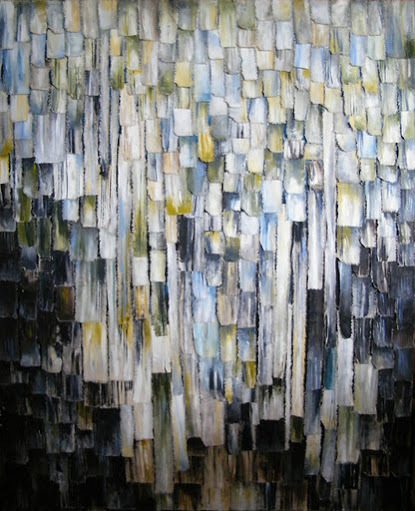 Until recently she explored these concepts using colour, and texture represented by layers of torn canvas, each individually painted and then reassembled so the flat, pristine original was reconstituted in a new form. 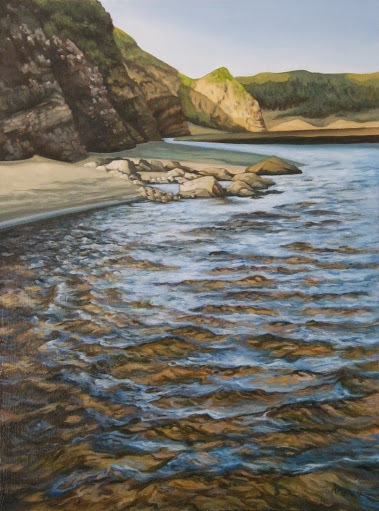 More recent landscapes are painted onto the canvas rather than made from it, so the juxtaposition of a small sky reflected large in water, the margins between tide and sand, rock and running river, provide the mystical line between one thing and another. Inspired by realism and the details therein, Flowers’ stylistic approach is both flexible and ‘painterly’. 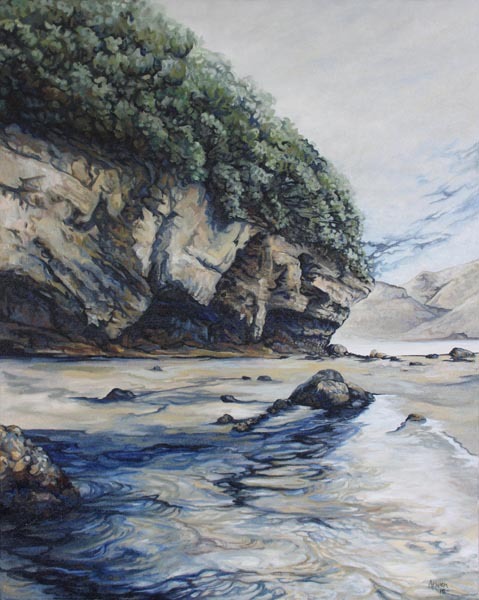 Auckland’s magnificent West Coast beaches and the Waitakere Ranges where she grew up mark her work with strong visual influences. 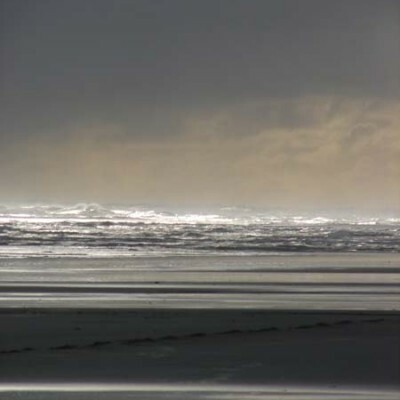 Artistically, she thrilled to Tony Fomison’s use of light and dark, to McCahon’s abstraction, Robert Ellis’ complex aerial urbanscapes, and Don Peebles canvas constructions. Flower’s father was a Post Office telephone technician when she was born in Auckland in 1973. Her mother stayed at home, working part-time while her children were at primary school, and then trained as a teacher. “In the bottom of our hallway cupboard Mum kept a huge box full of little wooden print blocks, brushes, paints, inks, mediums, pencils and pastels. To me it was a fragrant magic treasure. 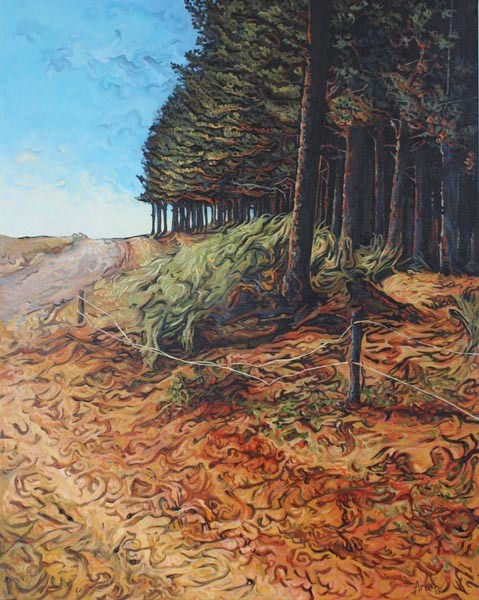 Up until 2014 she worked exclusively with acrylics but now includes oils. That led to a progression in her work. Initially used to combat the flatness and quick-drying problems of acrylics, they also provided a solution to issues of torn canvas textures becoming dominant, and allowed more time to move paint around. Art is a safeguard, and a bolt-hole for Flowers who is a mother of three, Griffin (14), Sara (7), and William (6). She works full-time as a graphic designer which keeps her artistic vision flexed. 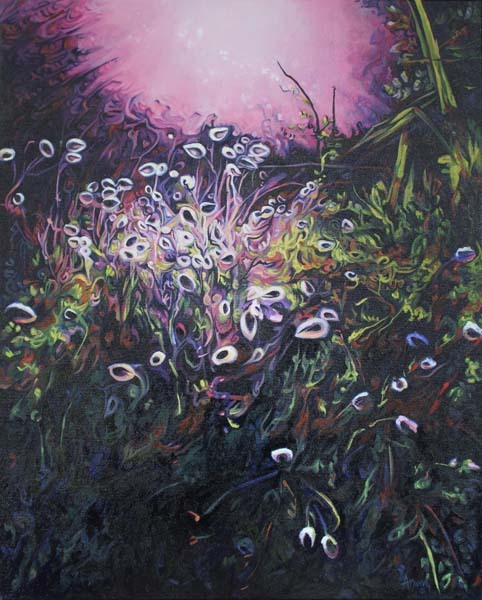 In 2011 in Helensville, northwest of Auckland, Flowers opened a collaborative art gallery. The idea came out of the enjoyment of having the space to display her work during an earlier exhibition. Flowers has accepted an Individual Creative Residency in March 2016 granted by Muriwai Earthskin, a charitable trust whose mission is environmental stewardship to foster and inspire the creative arts. 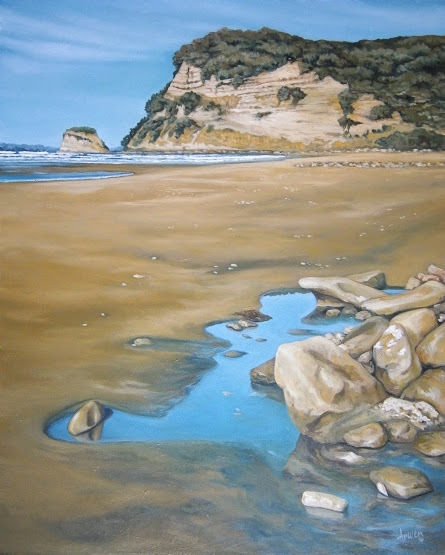 The Muriwai Earthskin month-long residency will provide the dedicated space to utilise her graphic design and artistic skills to create artwork, and also posters for print and social media using photography, collected images, mobile apps, graphics, and art mediums. In exploring ideas around collecting and cataloguing as a way of promoting species preservation, she intends to highlight the value of those practices in supporting a biodiverse, sustainable future. 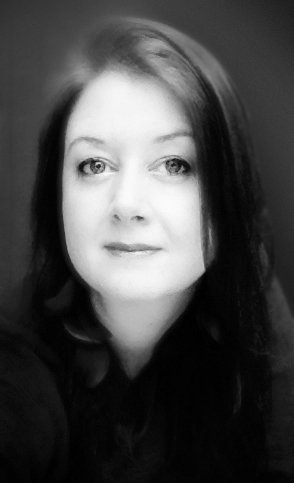 Source: Theresa Sjoquist interview with Arwen Flowers in September 2014 – updated January 2016. I don’t normally go for landscapes but these ones are exquisite. 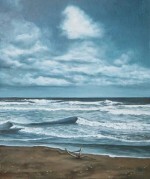 I want “Incoming tide (Bethells)” – I can smell the ocean and feel the cool water running over my feet! These are fantastic. An incredibly talented lady.